My 4-year-old son loves to draw. Does my son think I look like Animal from the Muppets? Is this his way of telling me I need a haircut? I’m also not sure what to make of the elongated neck and arms. Maybe those lengthy arms are necessary to tame my wild mane. 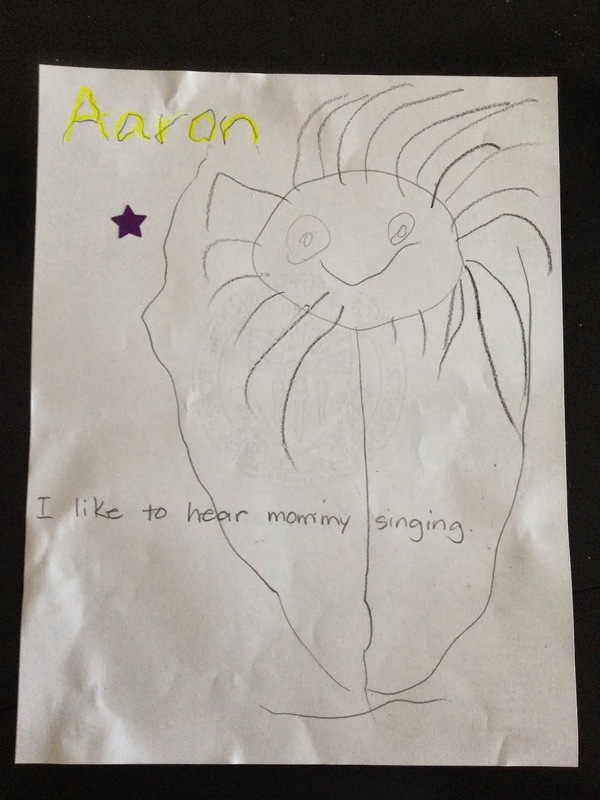 Apparently his teacher liked his interpretation, since she gave him a star sticker for this picture. At least he seems to enjoy my singing.